As a UK channel partner for Advanced Sensors, we are pleased to offer the renowned EX-100 / 1000 side stream oil in water analysers using the fluorescence measurement technique. The EX-1000 has the additional benefit of spectral analysis. 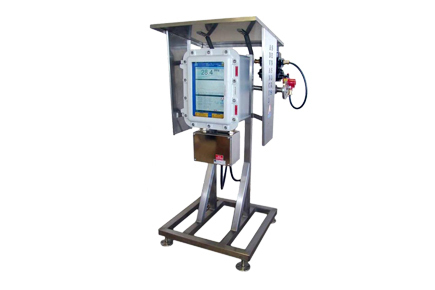 The EX-100 / 1000 side stream analysers are aptly suited to end of process monitoring – that is, measurement of produced water immediately prior to discharge or re-injection. The side stream analysers take a feed from a main source and provide a continuous ppm value (using fluorescence), as well as access to all the historical logged information. The output of the analyser can be fed back in to the process or to a drain. Multiple communications configurations – 4-20mA, HART, Modbus, Ethernet, ADSL, etc.